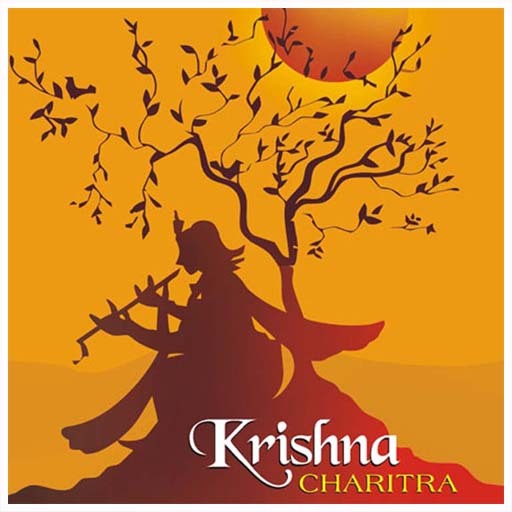 SYNOPSIS - Krishna Charitra is a famous Bengali classic where Bankim Chandra endeavours to discover Sri Krishna, the real person, behind centuries of myths and legends. Written in 1886, this was the first instance where the character of Krishna is studied from a pragmatic and questioning perspective. Like his novel Ananda Math, Krishna Charitra originates from Bankim Chandra's passionate feeling of patriotism. He wanted to uphold Sri Krishna as not just a mythological figure, but an ideal Indian character, whom other Indians could look up to. Sri Aurobindo says, “Bankim Chandra poured over the Bhagavad Gita and the Vedas striving to catch the deeper and sacred sense of those profound writings. To give that to his countrymen was the strenuous aim of Krishna Charitra.” In this translation of Krishna Charitra, several passages of Bankim's academic discussions have been omitted, so as to make it easier for the common reader. Also deleted are the criticisms on the European people that Bankim Chandra includes in his book from time to time. Otherwise, the text strictly follows the structure and the content of the original dissertation. On January the 5th this year, I had a car crash. Fortunately neither me, nor my friends sitting in my car got injured much, but if you would see the post accident car image, you won't believe this. I don't know how much is the role of almighty in deciding the luck factor and chances in our life, but there is a person in us, that can never attain peace, unless he has faith. Faith and hope are interlinked, and one medium of reaching it has been recognized as religion, by a large number of people all over the world. I am not religious, but I appreciate the understanding of life, and somehow all confusing quests of reaching your personal conclusions have somewhat or other turn, where you have to journey the path of religion. A hindu by birth, I am passionate about exploring other religious foundational values, just as much as I am in love of exploring its own. One chracter of Hindu Mythology, that has always managed to catch my fascination has been Lord Krishna. I had an injured leg those days in mid Jan, and was prescribed to spend most of the time on bed. I found this book near the bedside in my brother's collection at his place in Kannauj, where I had chosen to spend that bed rest period (My elder brother is a sweetheart, he takes great care of me). This book deals with idea of how time creates a pile of myths over facts when same stories are narrated over centuries. It is an extensive research carried out in almost a decade time, and a parallel commentary by the renowned author alongside, as he takes one tale at a time, and then carefully points out the contradictions in it and simultaneously delivers his own conclusion about the same. This was fun, learning experience and understanding of a hero, that holds the key to many religious books of Hindu Dharma. It is a commentary but notes have been written in the form of story telling in whole of the book, and thus the reading experience is high on entertainment value and engagement. A must try for those, who like experimental literature, I am one of those. RATING - 3.5/5. A different kind of a book. Hard work of the research generates curiosity and expands logic of the central god, whose all dimensions of the chracter have been dealed and thought upon with great insights. I am glad, I read it. PRICE - 300 something rupees, The hard cover shall serve as a beautiful object in your shelf for sure. It looks amazing and generates initial curiosity for sure.